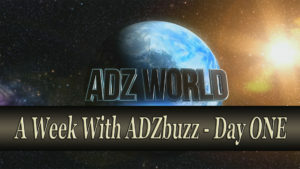 Just few weeks ago I achieved another big milestone in ADZbuzz. 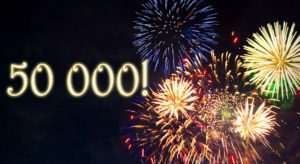 My earnings from the platform exceeded 20 000 ADZ. You can read more about it in my post. Powerhouse Network LTD is another business which has my trust. The owner of Powerhouse Network, Darren Bradbury is a friend of mine who is very transparent and has a great work ethic. Unfortunately we cannot trust anyone nowadays but as much as I have seen happening in Powerhouse Network and how much work has been done I know that Darren will do anything to make this company one of the best companies for financial freedom seekers. The company has tried many different business models during the last year and finally has stuck with crypto currency niche (From July of 2017) They have built their own mining farm to be free from third party problems. At the middle of November they announced their own ICO which has really interesting business model. Basically by purchasing their crypto currency, called Polaris, you will have a share from their mining farm and by holding Polaris you will start to get dividends from company’s profit. You can read the whitepaper to know more about it. Soon they will introduce trading tree. The system is built like matrix but only 20% comes from the matrix itself. The rest, 80% comes from trading. I don’t know how it exactly works yet so I cannot say much about it. I´m going to try it out and then I can share my experience with it. I started my journey with Powerhouse on 18th of July. My total investment is $140. NB! Those earnings are not typical as I have active referrals who have helped me to achieve this. So a big “Thank you!” is very appropriate here. As this is a long term business and to get a decent residual income I should increase my investment which I’m planning to do very soon. Other way I have to wait one whole year to earn 5 bucks a day for example. You can download my Powerhouse Mining calculator to see the potential earnings and build your own strategy. Another long term investment opportunity which promises huge ROI for early investors. Electroneum ICO was the biggest ICO in crypto currency history. They gathered over 40 million $ with token sales. and mobile app is granted. I believe the price will drop a lot once people who purchased Electroneum ICO will get access to their wallets. Who would not want to get 500%….1000% ROI 🙂 So once wallets will be accessible we will see heavy drop in the price because of huge amount of sell orders. Be prepared for that and keep your funds ready to purchase ETN when the price drops. This is something which I started just recently, in the middle of October. I have done Forex trading long time ago and one day it hit me. In Forex if you know the long term trend, it is very easy to be profitable with your trades. But the Forex is unpredictable and manipulated by big corporations so it is very hard to predict the future market. In crypto though it is much easier 🙂 So the idea came if I can pick the right crypto currency which has an upward trend for many months and years to come it would be very easy to use the experience I got from Forex many years ago. The choice was made and I spent $300 (which was left from my cars sale) to purchase bitcoins. Yes I sold my car as my financial situation was already so bad. And it was the best choice 🙂 Because I got rid of depts and I had some extra funds to purchase Electroneum and of course bitcoins to start my day trading journey. The current amount is not from just $300 though. 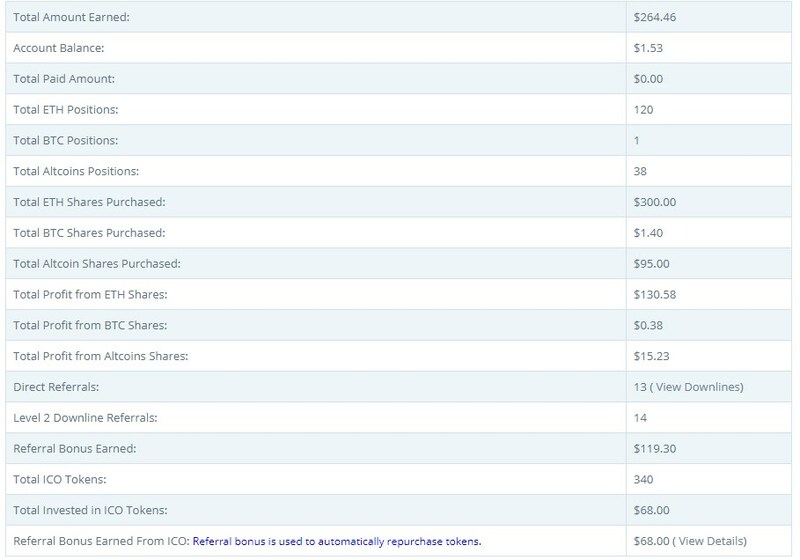 The refund ($140) which I got from Crypto Life I used to start trading with Electroneum as I believe this also has very bright future for long term. With the pace like this 1.5% a day I can make a nice Christmas present for myself. I believe I have deserved it 😉 Not giving up on failures and staying positive no matter how hopeless the situation may seem is starting to pay off big time. And to end this post, here are the overall gains from all current opportunities.